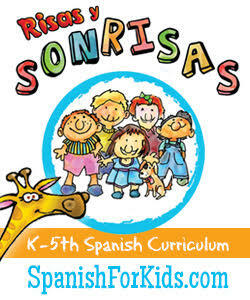 In honor of Día de los niños, Día de los libros which takes place this coming Saturday, April 30th, I'll be dedicating this week to sharing reviews of books that celebrate children and other resources for Día. Some of the books are new releases, while others have been around for a while, but may not have received much publicity. 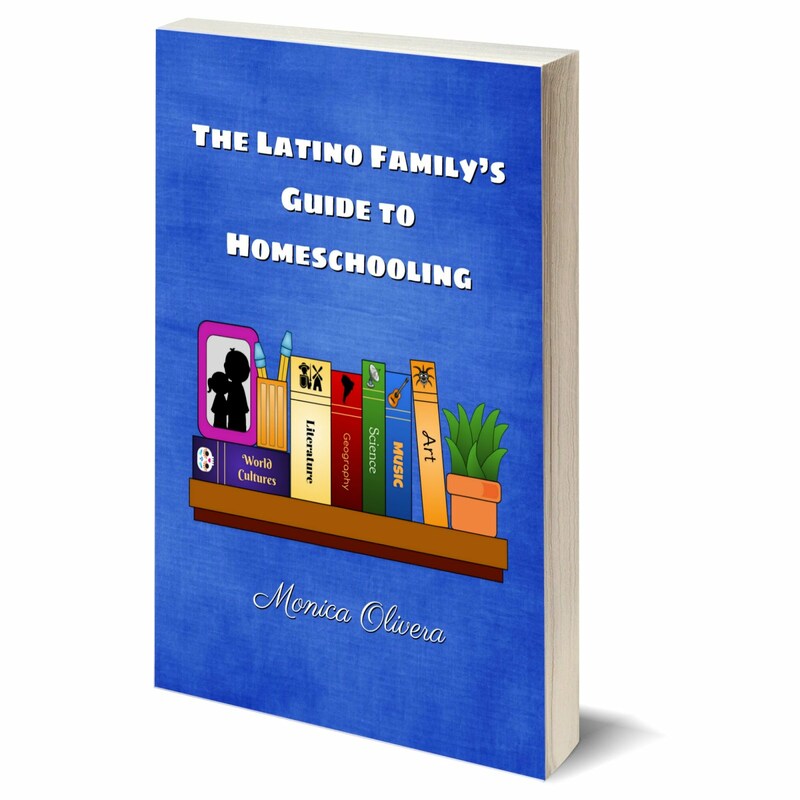 I hope you'll follow along and find some new titles to explore and add to your home or school library. This book came out several years ago, but it's not one you see very often. 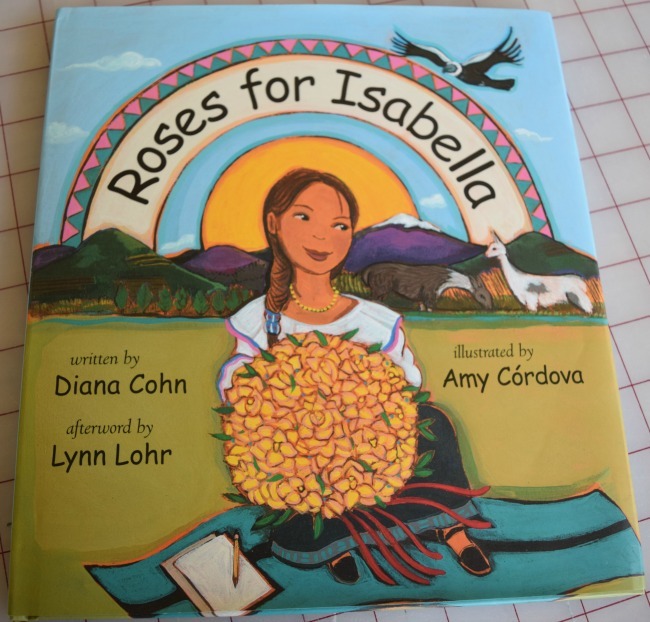 That's a shame because Roses for Isabella (aff) is a wonderful story that takes you into the life of a young girl in Ecuador. Isabella is a budding writer and her family is so proud of her. 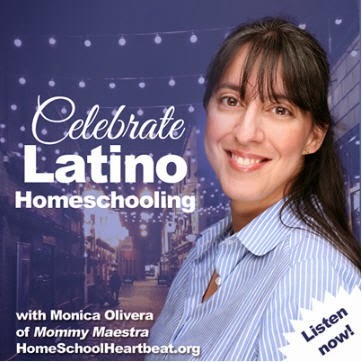 One day, her teacher has a surprise for the class as she invites them to write stories in honor of Pachamama, or Mother Earth. 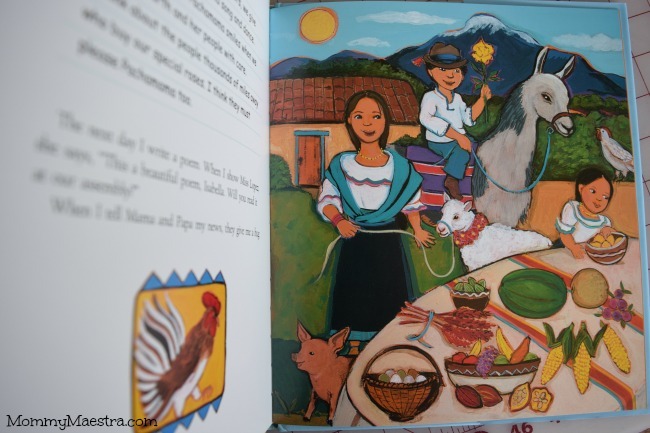 One of the students will be selected to read aloud their story at the school assembly celebrating Pachamama, and, naturally, Isabella hopes it will be her, and decides to tell the story of her own family. I love how this book tells us about Isabella's life through her own writing. I also loved about the important message it shares of how buying Fair Trade products benefits families around the world. In this story, we learn how Isabella's mother became sick from chemicals when she was working for a rose grower. She leaves her job and goes to work for a Fair Trade company that cares for its employees as well as its product. 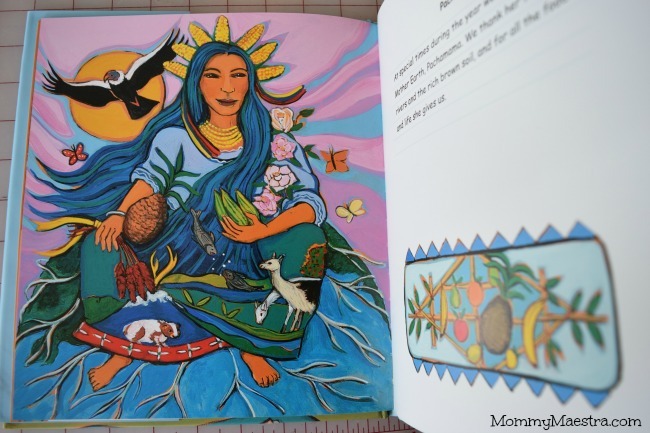 Isabella finishes up her journal writings with a poem in honor of Pachamama. The author has included an afterword describing Fair Trade around the world. 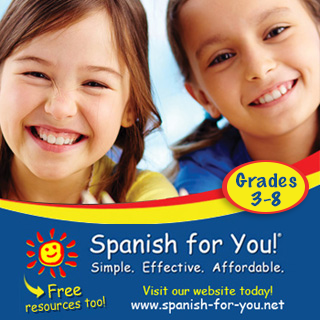 It's a great history lesson for students and perfect for raising global citizens. The illustrations by Amy Córdova are lively and colorful. I love how she captures the traditional clothing of the characters and the cultural details. 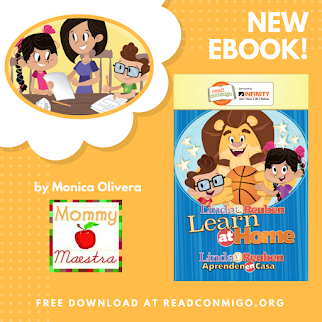 This beautiful story is can be used to supplement lessons on Ecuador, world history, children around the world, world cultures, Fair Trade, economics, family, schools around the world, holidays, Earth Day, and more.